Since there is no photograph of abrading surface, I think that it is shallow unevenness of a plane or printed surface, and buy it. It was disappointing and was the same groove as Super Green Sigma. Abrasive surfaces on rough surfaces can be removed without clogging, but rough surfaces will take longer to finish. The vibration is absorbed but the eccentricity is large. This review is about item#69301986. 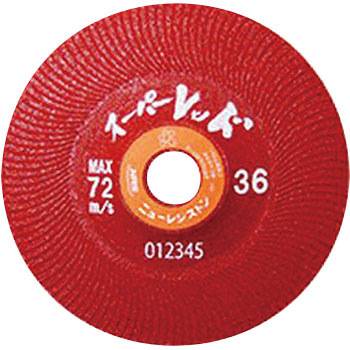 Although there is a little thickness, though it is thought that it is better to use either with green Σ, it is not easy to scrape from the start of scraping smoother than imagined, but there is once again one after another. I did not answer, but the feeling of use was very good. Three cutting shears were sharpened, but the sharpness did not fall as much as possible. Because the material is somewhat soft, it can be cut smoothly. It is used because it shortens working time and vibration. It is easy to use with less wear. This review is about item#10931086.